In recent few years, the Time and Attendance system are creating a boom in every single industry where people working for continuous growth and for development. 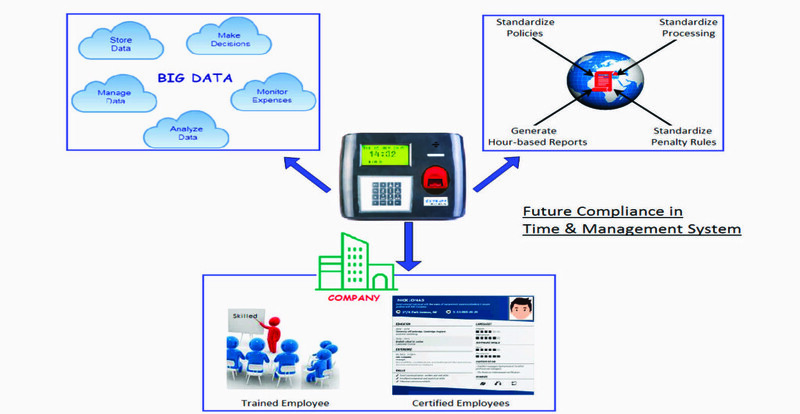 So, the need of such a Time & Attendance processing system that provides the best processing service, take care of upcoming compliance changes, monitor and calculate payroll as per demand. The research report of “Global Time and Attendance Systems Market Analysis 2018” estimated the overall market size of the years 2013 to 2023, which is based on market key segments and it’s relative market share, latest trends, and technologies used in time and attendance system. The worldwide market for Time and Attendance Systems is expected to grow at a CAGR of roughly 8.6% over the next five years, will reach around 2910 million US$ in 2023, from 1780 million US$ in 2017. Now here, we are going to focus on the current issues and trends that need to resolved and associate with the Time & Attendance system and payroll processing. Nowadays a Big Data tool has become the necessity for many businesses and becoming a leading trend for organizations. It is also associated with the organization’s employees Time & Attendance system and payroll system to store data, manage data, and analyze data and also gain the profit as per requirement. It allows data to make the decision for you, monitor your expenses, and provide benefit to both management and employees. Today’s most of the Time & Attendance system and payroll processing is very country specific. So, it is a necessity to introduce the standardize policies and processing across the globe where businesses in. So that management as well as employee perform much better to achieve their business goals. The organization must adapt to produce the hour based reports for all employees to better supervising the work of an employee. Penalty facility can also introduce if the report is not according to the rules and regulations. For example- The US-based Affordable Care Act (ACA) focuses on important changes. It also contains comprehensive health insurance reforms and includes tax provisions that affect individuals, families, businesses, insurers, tax-exempt organizations and government entities. Another thing we can do with our Time & Attendance and payroll system is to expand and edit the learning system to provide the latest and updated learning environment for the employees. This will ensure you that employees are properly trained and certified before starting work. It will definitely help the management in the near future.